No one in their right mind would describe me as a minimalist. I am known for gravitating toward anything bright, covered in glitter, or adorned with feathers. I prefer emotional purchases over stagnant ones, and a simple black bag doesn't stand a chance when one dripping in crystals is sitting right next to it. But all this maximalism comes with a price. When it comes to getting dressed every day, sometimes I feel like my closet is dressing me instead of the other way around. In an effort to combat this frequent issue, I decided to become an "adult" (whatever that means) and invest in a bag that airs on the more practical side. Much to my surprise, I discovered a slew of minimalist handbags that even my "extra" self fell in love with. 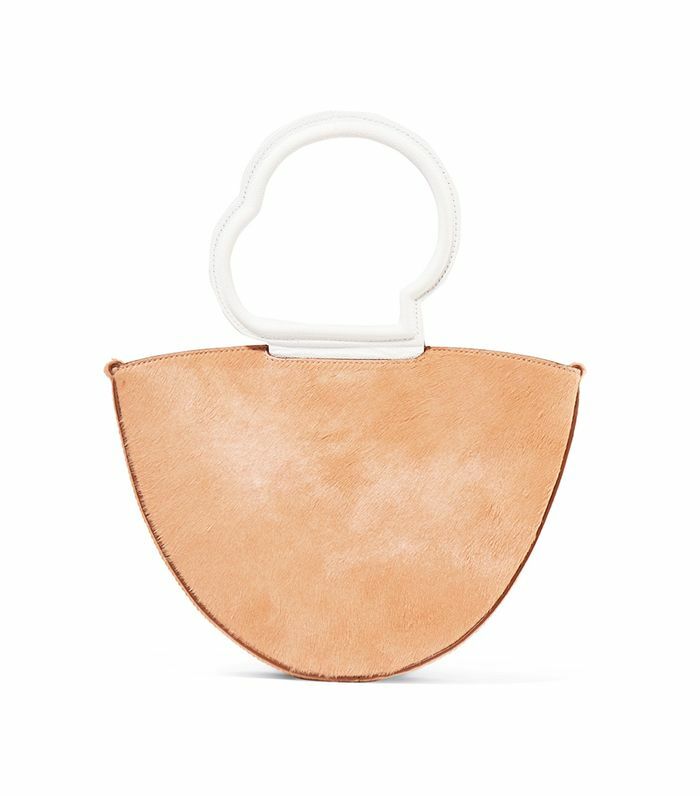 Thanks to brands like Danse Lente and Mlouye, the minimalist handbag game has officially been changed, and I am so into it. The glam way to do minimalism. You can never go wrong with cool circle handles. This structural tote will fit all of your essentials. This is a dramatic bag that showcases your individuality while still staying simple. White bucket bags are our new must-have accessory. The circular handles are our favorite feature on this clean bucket bag. Channel your inner Jane Birkin with this woven straw tote. Show off your favorite belongings in this trendy net bag. Minimalism doesn't always guarantee neutral tones. Take, for example, this leather shoulder bag. Because we will never tire of seeing this bag. Secrets never made friends anyway. Adaptable enough to dress up or down—no matter the occasion. The blue stripe on this basic leather bag takes it to the next level. This structured crescent-shaped bag is all types of elegant. An audacious way to be minimalistic. This bag proves a geometric design can still be simple, no matter how complex it sounds. The office tote you definitely need. 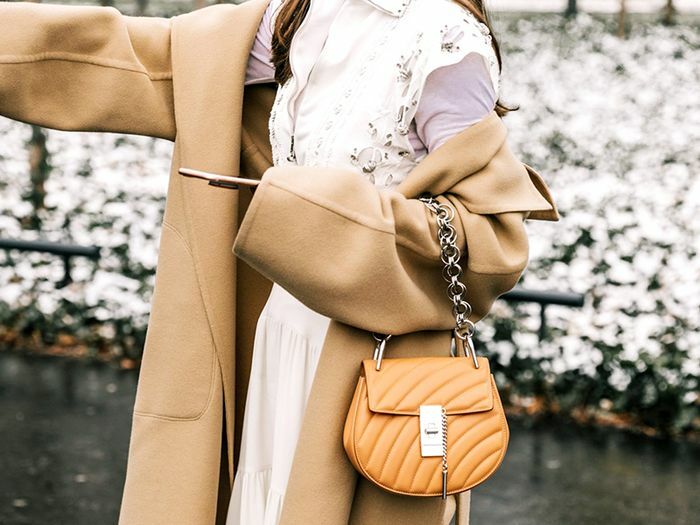 The minimalist way to pull off the whole belt-bag trend. The perfect bag to make your look stand out. This clean-cut tote is both versatile and cool. The must-have upscale shopper you don't already own (yet). We couldn't leave out 2018's most popular color. Have these handbags convinced you that the minimalist doesn't have to be boring? Because I'm a believer.